I went to the capital city last few weeks. It was just for a short weekend trip but I was able to make full use of the time that I had. One of the activities was visiting a senior Gayong teacher, Cikgu Mufti Ansari. The journey to met him was a bit challenging, but surely the meeting was really worth it. Cikgu Hafiz Stoke and I with the help of Cikgu Hakim France was able to gain something interesting when we met him. It was after midnight when we met Cikgu Mufti. He had just finished his training along with his students. There were having conversation to catching up things that they have missed. After that, three of us went to Cikgu Mufti’s house. I just know that Cikgu Mufti’s wife is also a great Gayong scholar. 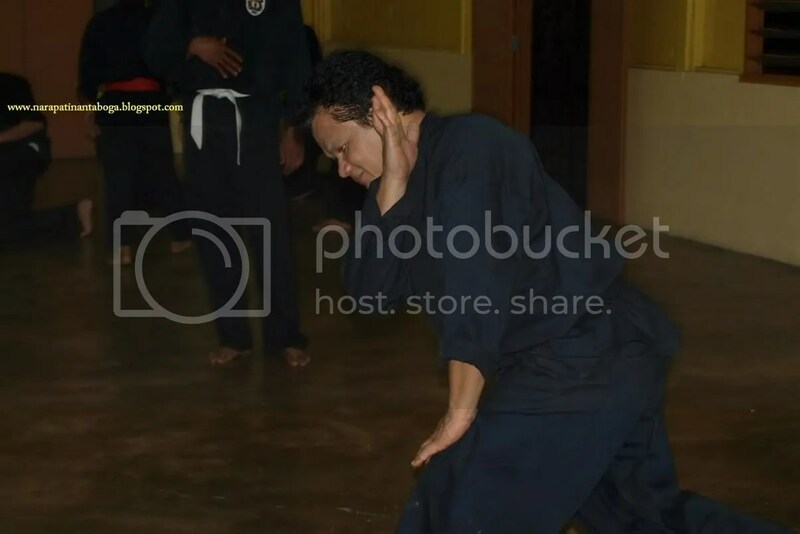 She is the Ibu Gayong for the Selangor state and among the best female gayong practitioners. .
Cikgu Mufti is the third generation in the Gayong school under the Grandmaster. As usual, when you meet an expert, you would feel that you are really small and perhaps not even exist on the map. The same thing happened to me as I feel that I knew nothing and I need to learn a loooooot from Cikgu Mufti. I feel that I am also blessed as he has shown his trust to us by pouring parts of his knowledge that he gained from the late Grandmaster in my first meeting with him. The knowledge that was shared was indeed really exclusive to me. Alhamdulillah. Time flies really fast. We only step out of his house at about 6.00 in the morning. The comeback of these young students is a must. Insyaallah..